So what if Utusan is anti-DAP? Of course, going after readers' comments is like shooting fish in a barrel. The fact that establishment propagandists often times use racist and slanderous comments of certain anonymous subscribers in their propaganda pieces seems to escape this establishment paper. It apparently also escapes these subscribers who then wonder, why race relations in this country is so bad. In an environment where competing racial narratives are the norm, readers' comments, either pro-establishment or pro-opposition, are trainwrecks where people express their true feelings under the cloak of anonymity. While rancid racial discussions are sometimes punctuated with nuanced asides, the reality is that people want to express themselves without filters because mainstream politicians and demagogues do so in the mainstream press without filters or sanctions. Utusan’s claim that Malaysiakini is pro-DAP is about as useful as not acknowledging that Utusan is anti-DAP. 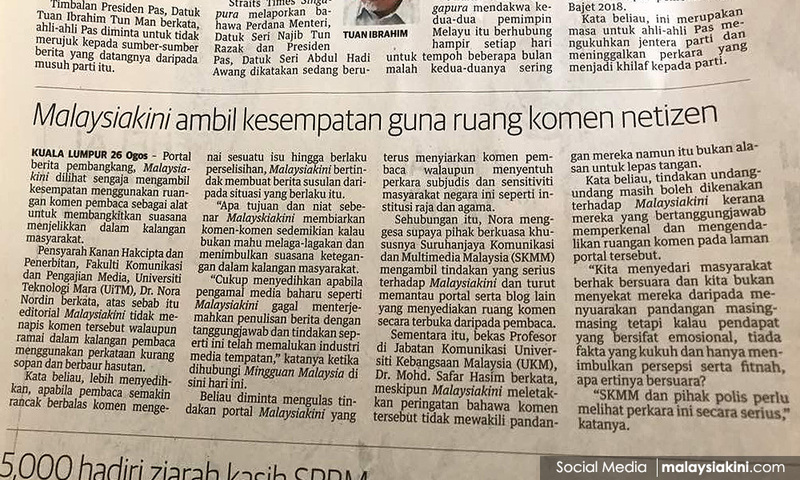 By this, I mean that Utusan and Malaysiakini both have their biases which are ultimately irrelevant so long as the state does not favour one over the other. 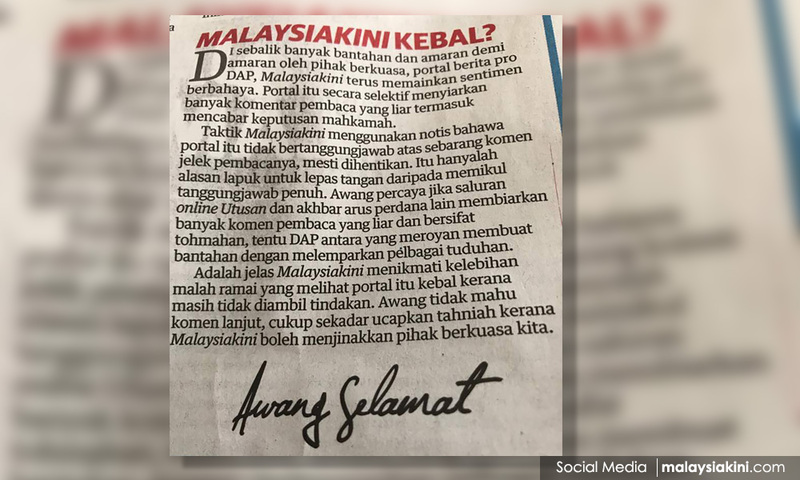 Since the state does favour Utusan, this leaves Malaysiakini as one of the few “independent” – even if allegedly pro-opposition – media outlets in the country.